Alfredo Altavilla, who heads Fiat S.p.A.'s powertrain division, will take over as CEO of the company's Iveco truck unit, Fiat said today. Altavilla replaces Paolo Monferino, 64, who is leaving Fiat Group to become head of health services for Piedmont, the region in which Turin-based Fiat is located. Altavilla, 47, will keep his current position, a Fiat spokesman said. Iveco is part of the industrial operations, which also include agricultural-equipment maker CNH Global NV, being carved out so Fiat can focus on carmaking after acquiring a 20 percent stake in Chrysler Group. 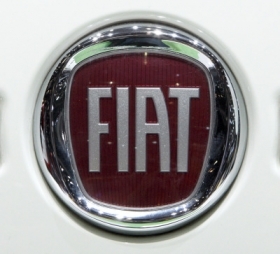 The company plans to list Fiat Industrial S.p.A. shares on the Milan exchange on Jan. 3. The news that Monferino is leaving the company is “unlikely to be helpful just months away from the spin-off of Fiat industrial,” Credit Suisse analyst David Arnold wrote in a note to clients. Altavilla took over Fiat's powertrain unit in 2006. He is also Fiat's head of business development and joined the Chrysler board last July. He will remain on the Chrysler board. Altavilla is from the port town of Taranto, where his father owned a Lancia dealership. He joined Fiat in 1990 to manage product development, international ventures and strategic planning. Monferino began his career with Fiat in 1973 as a design engineer and became head of Iveco in 2005. He had previously served for five years as chief executive of Fiat's CNH Global NV tractor-making unit. Fiat CEO Sergio Marchionne thanked Monferino for his "outstanding" service to Fiat. “I am disappointed that he is leaving the Fiat Group, but I am pleased to know the public health system will profit from his experience," Marchionne said in a statement.